Below you fill find all funeral homes and cemeteries in or near Pflugerville. Their current mayor is Mayor Mayor Jeff Coleman. Zip codes in the city: 78660, 78691. Some of the notable people born here have been: Garrett Lindholm (american football player). Pflugerville /ˈfluːɡərvɪl/ is a city in Travis and Williamson counties in the U.S. state of Texas. The population was 46,936 at the 2010 census. 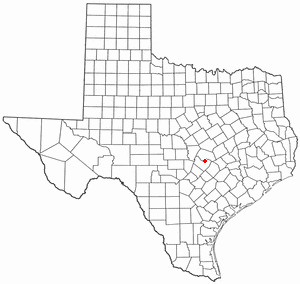 Pflugerville is a suburb of Austin and part of the Austin–Round Rock–San Marcos Metropolitan Statistical Area. It was disclosed on November 11th, 2018 that Donald Dale "Sparky" Marco passed on in Pflugerville, Texas. Marco was 90 years old. Send flowers to express your sympathy and honor Donald Dale "Sparky"'s life. It was written on July 20th, 2018 that Laura Michelle Jackson (Boardwine) passed on in Pflugerville, Texas. Ms. Jackson was 31 years old and was born in Tazewell, VA. Send flowers to express your sympathy and honor Laura Michelle's life. It was noted on May 30th, 2018 that Basil N Ioannou passed on in Pflugerville, Texas. Ioannou was 80 years old and was born in Constanza R, . Send flowers to express your sorrow and honor Basil N's life. It was reported by San Antonio Express News on December 24th, 2017 that Raphael John "Ray" Micek passed on in Pflugerville, Texas. Micek was 75 years old and was born in Columbus, NE. Send flowers to express your sorrow and honor Raphael John "Ray"'s life. It was disclosed on March 8th, 2017 that Irma W Phifer passed on in Pflugerville, Texas. Phifer was 92 years old. Send flowers to express your sympathy and honor Irma W's life. It was revealed on August 22nd, 2016 that Irene B Cervantes (Borrego) perished in Toppenish, Washington. Ms. Cervantes was 87 years old and was born in Pflugerville, TX. Send flowers to express your sympathy and honor Irene B's life. It was revealed by Tri-City Herald on August 19th, 2016 that Irene B Cervantes passed on in Toppenish, Washington. Cervantes was 87 years old and was born in Pflugerville, TX. Send flowers to express your sympathy and honor Irene B's life. It was reported by Texarkana Gazette on July 25th, 2016 that Myra Jean Martindale (Tanner) passed away in Pflugerville, Texas. Ms. Martindale was 86 years old. Send flowers to share your condolences and honor Myra Jean's life. It was noted on November 4th, 2014 that Deborah M Hammer (Hammer) passed on in Pflugerville, Texas. Ms. Hammer was 63 years old and was born in Johnstown, PA. Send flowers to share your condolences and honor Deborah M's life. It was noted on August 3rd, 2014 that Kenneth Richard Schafer passed away in Pflugerville, Texas. Schafer was 89 years old and was born in Edgemere, MD. Send flowers to express your sympathy and honor Kenneth Richard's life. The first addition to the town was the Wuthrich Addition of six blocks, platted on November 22, 1904. Pflugerville is a city in Travis County, Texas and Williamson County, Texas Counties, Texas, United States. A. A dam was constructed on Gilleland Creek shortly after that, to facilitate the railroad and provide water for the train. William Pfluger served as president with Mr. 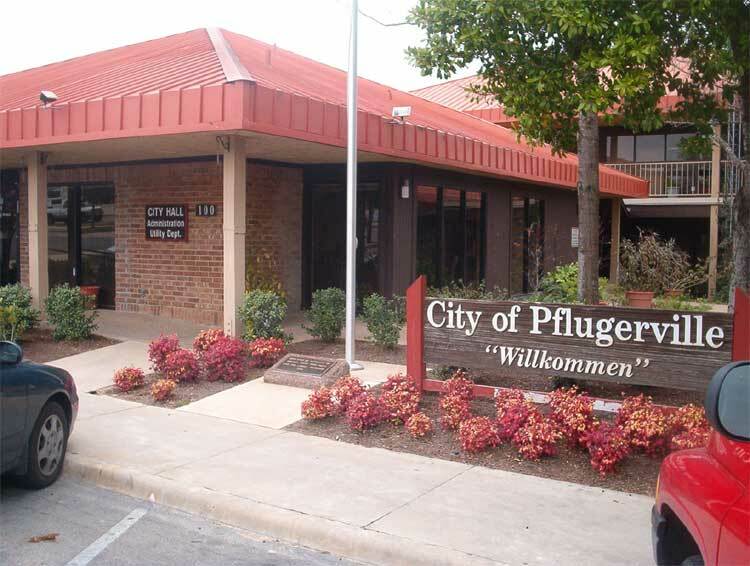 The official website for the city of Pflugerville is http://www.pflugervilletx.gov/. Man accused in shooting lost touch with friends, they say. Truong, a University of Texas philosophy major who had been living in Pflugerville ... Funeral services for Phu Truong will be held Sunday at Cook Walden Funeral Home in Pflugerville. Huyhn's funeral will be Saturday in Arlington. Funerals in Pflugerville, TX on Yahoo! Local Get Ratings & Reviews on Funerals with Photos, Maps, Driving Directions and more. Listing all funeral homes in Pflugerville, Texas so you can easily send flowers to any location (same day delivery) or find any funeral service. We work with local florists and flower shops to offer same day delivery. You will find budget sympathy flowers in Pflugerville here. Our funeral flowers are cheap in price but not in value.